To which I can honestly answer no. Don’t get me wrong: I do love blue skies and sun, the ability to wear a tank top on Christmas day, and not having to obsessively follow the BBC’s hour-by-hour forecast to determine if I need to bring an umbrella to an event (I’m not sure why I do this since I tend to just bring an umbrella anyway, but it’s become an ingrained habit). Between Florida’s heat, humidity, and hurricanes, I can say that, hands down, I prefer the UK’s moderate climate. The fact that any heat tolerance I once had has completely disappeared was made incredibly clear to me earlier this month when England basked in five successive days over 30 C (86 F). Just sitting still indoors was enough to bring out in a sheen of sweat since air-conditioned buildings are few and far between. At night, I would sleep on top of the duvet, with a wet washcloth plastered on my body to help keep me cool. Yet this didn’t stop my husband and I from going out to celebrate the summer solstice on what turned out to be the hottest day of the year thus far. Using a book of 1001 UK Walks, we picked a nearby four-mile route around the village of Bremhill. Although not far from the centre of Chippenham, it was completely new territory for us and a wake-up call to the beautiful countryside we have on our doorstep. We arrived just before 7:00am as the village was starting to stir. The walk starts by winding through the smattering of houses that make up Bremhill, and I enjoyed seeing the poetic names—September Cottage, Jasmine House—and taking in the details of the Victorian buildings. 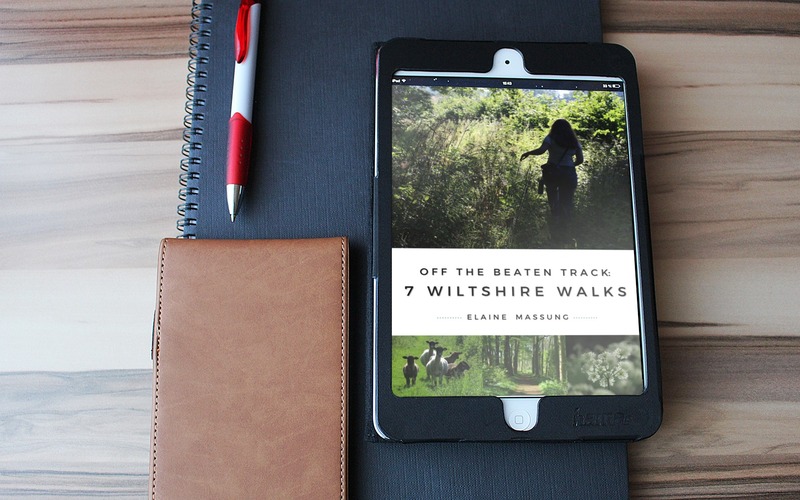 Once past the houses, you start a proper country walk, cutting through fields and bridleways. We came across the usual sheep, cows, and horses as we went along but, in a change from last month’s walk, we were also joined by a number of butterflies that seemed to follow us along the margins of the fields. Much like humans need caffeine to start their day (well, this human does anyway), cold-blooded butterflies need to soak up the sun to regulate their body temperature and take flight. So we were at just the right time to catch butterflies like the Meadow Brown and Small Tortoiseshell as they basked with their wings open, preparing to start their day foraging for nectar. There was also some local heritage I was interested in seeing. In 1474, local woman Maud Heath left money for the construction and maintenance of a path through a boggy area between Bremhill and Chippenham. This was done through a series of 64 brick archways that has become known as Maud Heath’s Causeway. We did not actually see this pathway, but instead passed the 1838 monument to Maud built by a local landlord and vicar. A representation of Maud sits at the top of a tall pillar overlooking the surrounding countryside and her causeway, the epitome of local woman makes good. As we pressed on, the temperature continued to climb and it was a relief to enter a shady, woodland area, although this wasn’t without risks. There are typically a number of things that enter my mind when conducting an assessment for a walk: the weather, obviously (too hot? too cold? rainy? windy? plague of locusts? ); being alert when climbing over a style to avoid loose boards and/or tripping; giving livestock plenty of space; and dodging droppings left by the livestock. Archery was a new one for me. As we neared the end of the walk, we came across the unusually named Dumb Post Inn. Many (many) moons ago I taught a Continuing Education course about the Archaeology of Pubs. It turned out to be a popular course (hmmm, maybe the visit to a handful of pubs had something to do with that? ), and I certainly learned a lot myself while researching it. Like the fact that the most common pub name is the Red Lion, with its origin in heraldic badges. Many pub names can be traced back to a similar source, whether heraldry or a connection to a local worthy or royalty. My curiosity was piqued: there is a sign nearby pointing the way to other locations, but post-walk googling uncovered another theory behind the unusual moniker: in the days before the Royal Mail, it’s said that couriers would pin letters to a post outside the inn to allow local residents to get their mail. Once we completed the walk, we had a big decision ahead of us: where to go for breakfast. There are two local places that we favour: one is air-conditioned, one is not. I think you can probably guess the choice that we made!